Grip Strips Bowling Insert Tape - Electric Blue 3/4" or 1"
It's time to get downright mean on the pins with the Columbia 300 Savage! The all-new Savage core is designed for digging deep with excellent continuation, making its low RG/high differential dynamics perfect for heavier oil volumes and longer oil patterns. 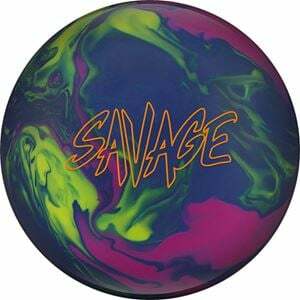 Encased in the Exciter Solid coverstock sanded to a 500/2000 Abralon matte finish, the Savage has some teeth to allow it to grip and rip into the lane.